A popular section of the South West Coast Path between Lulworth and Kimmeridge in Dorset, has been improved thanks to funding from Sykes Cottages and the Great South West Walk. The event and the improvements it supports are all part of the South West Coast Path Team’s ‘Unlocking our Coastal Heritage’ project, which received funding from the Rural Development Project for England (RDPE) to conserve, enhance and interpret the Coast Path. 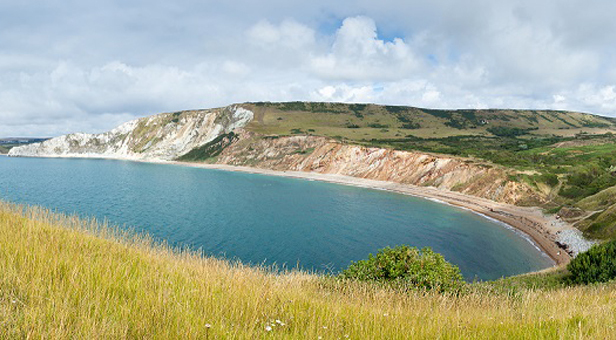 This section of the Coast Path runs through the Ministry of Defence’s Lulworth firing ranges and is accessible on weekends and school holidays. The Dorset County Council Ranger service has led the work which includes replacing six stiles with gates, making the route easier to access.